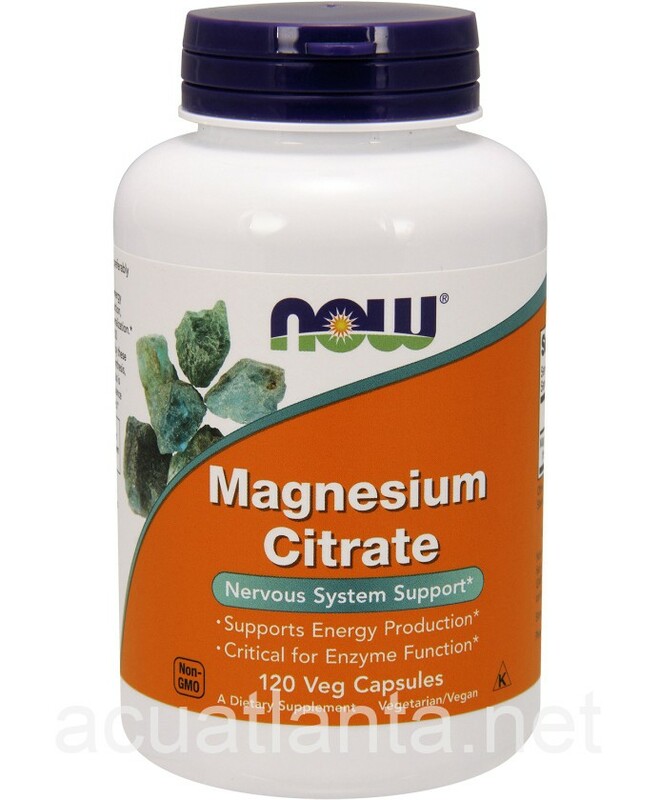 Magnesium Citrate is a mineral known to help with ATP energy production and enzyme production, as well as playing a role in over 300 biochemical reactions in our bodies. In addition, magnesium assists ATP (adenosine triphosphate) and enzymes to relax the heart muscle and blood vessels. Magnesium Citrate is also important to metabolism, muscle contraction, nerve impulse transmisson and bone health. Magnesium supplementation can prevent deficiency of this important mineral and support the health of the heart muscles.